Found 3 file extension associations related to FormDocs Basic and 3 file formats developed specifically for use with FormDocs Basic. Developer / company: Formdocs LLC. FormDocs Basic Edition is personal forms management for the average small business and home office user. 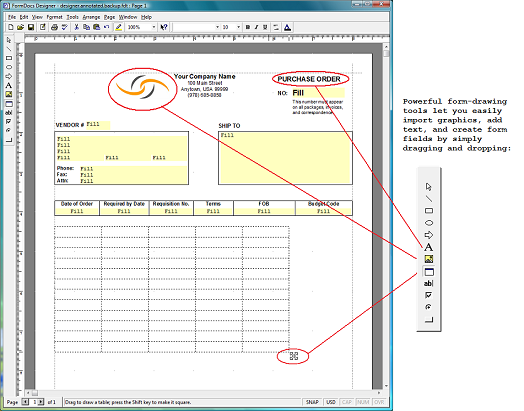 It provides everything you need to design, fill-in, save, print (or fax) any type of form. Includes built-in spell checking, automatic serial numbers, drop-down lists, easy-to-define calculations, AutoFill lookups that let you pre-fill forms with information from your databases and spreadsheets, and import/export. Automatically organizes thousands of records so you can quickly search for and retrieve any form. If you need more information please contact the developers of FormDocs Basic (Formdocs LLC. ), or check out their product website.